Work With A Real Pin Manufacturer! 1 - GET A QUOTE Fill out the form below with the quantity you need and we will get you a quote and take it from there. Minimum order is only 100 pieces. There is no need to fill out a price quote form or detailed spec sheet as we don't want to make lapel pin design more difficult then it actually is. It's actually fast and easy! 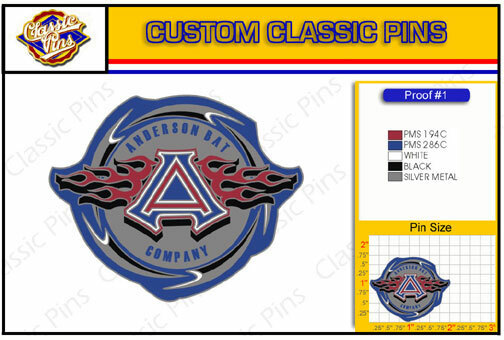 2 - HAVE ARTWORK CREATED - If you have artwork or just a custom pin concept, email what you have to customerservice@classicpins.com and we will choose the best pin process for you and have pin ready artwork within 24 hours. 3 - PRODUCE YOUR PINS - Once the artwork is approved by you, we will go to production and have your pins in your hands within 14 days. ***No payment required until your pins are in production.